There are two types of Ramen in Wakayama, pork broth soy sauce Chuka Soba (Wakayama Ramen) and the owners’ original Ramen. You can enjoy various ramen from traditional taste to the unique owner’s original taste. Chuka Soba (Wakayama Ramen) is said to be originated from the food stalls inside Wakayama City during the mid-Showa era. The food stalls were lined near the Shakomae Station (Current Nishitakamatsu, Wakayama-shi) which was the city center during that time. The streets were very lively with the food stalls competing with each other. Eventually, these food stalls became the ramen restaurants in various parts of Wakayama City. And with this the present Wakayama Ramen culture was formed. (1)Chuka Soba noodles are thin, straight, and slightly soft. When you order, tell them your preferred level of firmness. (2)Chuka Soba usually comes with braised pork belly (Chashu), green onions, fermented bamboo shoots (menma), and fish cake (kamaboko), but every ramen shop is a little bit different. (3)At the table you’ll find hayanare-zushi (mackerel sushi) and boiled eggs. Help yourself, keeping track of how much you eat. When you pay at the end of the meal, tell them what you had and pay for it then. 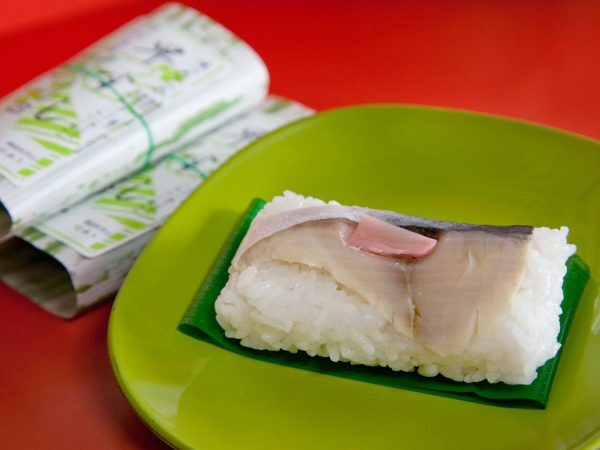 Salted horse mackerel is placed on vinegared rice and wrapped in a cane leaf to ferment. It has a delightful acidity that goes perfectly with ramen flavored with pork broth and soy sauce. 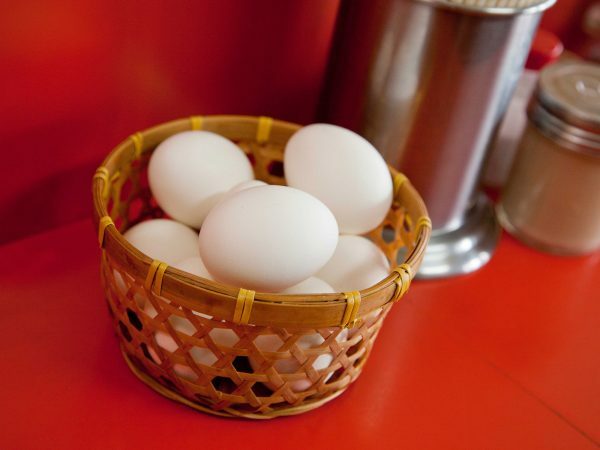 You can peel and eat some boiled eggs while you’re waiting for your ramen order to arrive, soak some in your soup once it does—how you eat them is up to you!